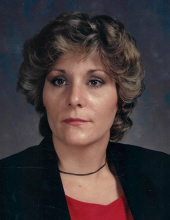 Her Legacy… Diane Elizabeth MacDonald, 67, passed away January 29, 2019. She was born on January 14, 1952, in Wyandotte, Michigan to Julius Sabo and Dorothy (Charbneau) Sabo. Diane married the love of her life, Robert Bruce MacDonald, on August 23, 1974, at St. Mary Catholic Church in Pinckney, Michigan. She will be remembered as a hard worker, adventurous, and strong willed. Diane loved to cook and make people happy. She enjoyed reading Steven King novels and taking care of her cats. Her family and spending time with them was the most important thing to her life, and she will be missed by all who knew her. Her Family… Diane will be missed by her husband, Robert MacDonald; her son, Brad (Hannah) MacDonald; her father, Julius Sabo; and her loving brothers and sisters. She is preceded in death by her mother, Dorothy Sabo; and her daughter; Robin Rogers-MacDonald. Her Farewell…Diane’s family and friends will gather Saturday, February 2, 2019 from 1:00pm until time of service at 3:00pm at Borek Jennings Funeral Home, Hamburg Chapel. Bill Donahue will serve as celebrant. Memorial contributions are suggested to United Service Organization. Please leave a message of comfort for Diane’s family at 1-877-231-7900, or sign her guestbook at www.borekjennings.com. To send flowers or a remembrance gift to the family of Diane Elizabeth MacDonald, please visit our Tribute Store. "Email Address" would like to share the life celebration of Diane Elizabeth MacDonald. Click on the "link" to go to share a favorite memory or leave a condolence message for the family.